« Is Per-Minute Billing the Next Step to Unlimited Cloud Plans? 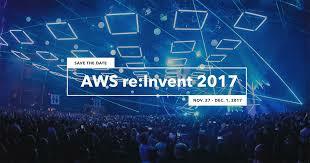 As we get closer to the annual AWS re:Invent event, it’s time for all of us prognosticators to speculate on what new products and services that AWS might announce. It’s never a great idea to be a top-level sponsor, as it means that your business is successful, which puts you on AWS’s radar. I know that sounds weird, but AWS has much better insight into what happens on their platforms than most IT vendors have of their ecosystem. In the past, there are usually 1-2 of these companies that have their service replicated as a new AWS service each year. If there is a popular technology that is primarily being used as DIY (Do-It-Yourself) today, it’s not uncommon for AWS to created a bundled, more managed offerings (e.g. AWS Aurora for databases). AWS is less interested in maintaining the status quo, especially within IT, than it is to unlock new potential for “builders” and business owners. This means that IT Ops team may often feel threatened by new services that automate tasks that used to require highly skilled (and certified) IT personnel. AWS chips away at highly complex problems piece-by-piece. Things like Big Data, Data Science, Machine Learning, Artificial Intelligence are huge challenges. AWS has been trying to make them modular and simplified with each new service they add. Data is sticky. Data has gravity and is difficult to move. So AWS is always looking for new ways to get customer data within their services. The ingestion fees are usually $0, and the fees to take action on the data or send it back out of the system (e.g. interact with customer applications) is where AWS makes their money. AWS has created a large portfolio of services and capabilities. They always like to talk about how many new features they have created. This is sometimes overblown, as any large IT vendor with a broad portfolio is creating 100s of new features each year across many products – they just usually don’t mention them in the content of # of features. Last Week in AWS and Top Stories from AWS this Week are two excellent sources of information to keep up with new updates each week. So given all of that, what might we expect to be announced at re:Invent? More CPU types and adjusted pricing for Compute or Storage. More Regions and Availability Zones, especially in Europe and Asia. New networking capabilities, with a focus on higher bandwidth access into the cloud and across clouds. Enterprise Partnerships – The biggest revenues in IT are in the Enterprise, which has been AWS’ focus for the last 3-4 years. Expect to see them continue to highlight SI partnerships to help scale delivery. Expect them to highlight some new ways that they’ll create hybrid cloud environments (example: AWS Service Broker with Red Hat OpenShift). Lots of Data and Lots of Lambda: CTO Werner Vogel’s keynote is supposedly going to focus on the intersection of data and serverless, two areas where AWS is extremely focused and two areas where their services are very sticky (read: much potential for lock-in to the AWS cloud). I expect to see many early-adopter customer stories and use-cases highlighted. Going after “the old guard” – AWS likes to refer to large, existing IT vendors as “the old guard”. They favorite seems to be Oracle. They have bee aggressively trying to offer alternatives to the Oracle DB (e.g. Aurora), as well as database migration tools into the AWS cloud. They’ve also gone after Oracle data warehouses with AWS Redshift. I’d expect to see them begin to target AWS Lambda at edges of common Oracle DB capabilities (e.g. batch processing). Containers – Containers have been a hot technology for the past 2-3 years. Many surveys show that customers are already running containers (e.g. docker) on AWS, along with homegrown Kubernetes clusters. AWS has a managed container service (AWS Elastic Container Service – ECS), but with the rising popularity of Kubernetes, I’d expect to see AWS offer a managed Kubernetes service to compete with Azure AKS and Google GKE. Talk about Open Source: AWS has had a mixed track record on open source. They consume a lot of it, but their contributions has been scattered. Google and Microsoft have been highlighting their commitment to OSS. AWS’ Adrian Cockcroft has been more visible this year, growing his open source team, so I’d expect them to highly their commitment to open source.